We know that sound of a certain frequency shatters glass. A sound can have a calming or unnerving effect on our mind and body because they are vibrations through the air. Since we also vibrate at the atomic level, sounds can have a beneficial or detrimental effect on us. If you are exposed to the sound of a power tool for some time, your head can feel sensitive afterwards, and you feel a bit jangly. If you listen to sounds from nature like water trickling or falling, or a fire crackling, it is soothing. Mantras, which are chanted vowel combinations, have a soothing and healing effect on our mind and body. Mantra is a Sanskrit word that means ‘mind protection’, and, a sacred word or sound. The seven major chakras (energy vortices) are meta-physically linked to systems in the physical body – the spinal cord, the autonomic nervous system, and the endocrine system, and, surrounds us with a vibrational energy called the ‘aura’. The vowels of the alphabet correspond to five of the major chakras of the subtle (light) body. Vowel Mantras are chanted out loud in meditation. When I practised spiritual psychology with the Gnostic Movement, one of the group activities was the chanting of the vowels – A, E, I, O and U. Here are the five Vowel Mantras and their chakra points with their corresponding psychic faculty. This chakra is associated with the pituitary gland, located between the eyebrows, and holds the faculty of clairvoyance. This is the ability to ‘see’ an object, place, event, or person, without seeing with the eyes. It can appear as an image flash in your mind’s eye. The vowel that stimulates this chakra center is ‘I’ – pronounced like the ‘i’ in the work ‘ink’. This chakra is associated with the thyroid gland in the larynx, and holds the faculty of clairaudience. 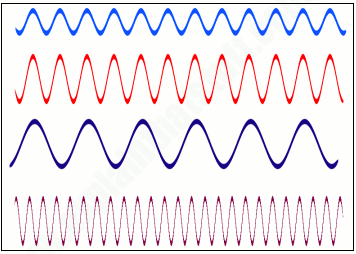 This is the ability to ‘hear’ sounds that are not audible to the physical ear. An example of this is when a person hears a voice in their head. It could be that of a recently deceased person or their higher self. It can be ‘heard’ as a whisper or a distinct voice. This faculty is responsible for saving people from danger, like when a voice may warn, ‘Don’t go there now’. 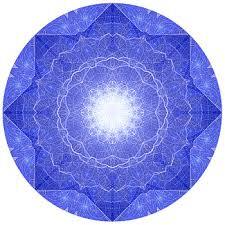 The vowel that stimulates this chakra center is ‘E’, pronounced like the ‘e’ in the word ‘egg’. 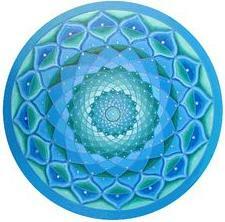 This chakra is associated with the center of the chest, the heart area, and holds the faculty of intuition. Intuition is that knowing, or hunch, or ‘gut feel’ you get – quite subtle but definite. It is insight that comes from beyond the rational mind. Intuition is very useful, as we know, and also helps with interpreting dreams and their symbolism. 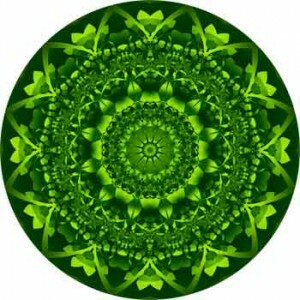 The vowel that stimulates this chakra center is ‘O’, pronounced like the ‘o’ in the word ‘door’. This chakra is associated with the pancreas, located in the area just above the navel, and holds the faculty of telepathy. This is the ability to perceive the thoughts and emotions of others. Examples of telepathy include thinking something that someone then says out loud in the next moment. Or, when you think about a person out of the blue, and the next minute, they call you. The vowel that stimulates this chakra center is ‘U’, pronounced like the ‘oo’ in the word ‘moon’. This chakra is associated with the lungs, located in the pulmonary area, and holds the faculty of recollection of past lives. The vowel that stimulates this chakra center is ‘A’, pronounced like the ‘a’ in the word ‘march’. 1. Sit in an upright chair and keep your spine straight in a good posture. 3. As you exhale, vocalise the letter in a continuous chant like – aaaaaaaaaaaaa – until your lungs are emptied. 4. 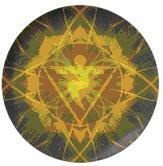 As you chant, you can picture in your mind’s eye, the chakra spinning like a wheel. 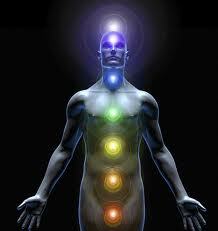 All the chakras spin in clockwise direction. Chant one vowel for each session, don’t mix them. A session should last 20 minutes, non stop. At first, start out with one session a day for 5 minutes, then 10 minutes, then build up to 20 minutes. The physical benefit is felt after doing a session of at least 20 minutes long. Internally, you feel silky and lighter in the body. When you first try vowel mantra chanting, it will seem like work. But don’t worry, as with all forms of exercise, you need to develop the muscle strength. For this reason, try to do a session each day and stay with one vowel for four weeks, before moving on to the next one. This will allow you to develop a feel for each chakra and give you time to see how you are developing the associated faculty. I have seen wonderful websites and I have caught not so great websites. This site is very informative in many ways and certainly ranks in the former category. Really appreciate the information your providing us avid readers! I believe you have made some really fascinating points. Not too many others would actually think about this the direction you just did. I am really impressed that there is so much about this subject that has been revealed and you made it so nicely, with so considerably class. Outstanding one, man! Very wonderful things right here. Thanks for your feedback I hope you continue to enjoy the website. If there are any topics you’d like to hear more about let me know. Great web site you’ve got here.. It’s hard to find excellent writing like yours these days. I honestly appreciate people like you! Take care!! This is the best blog for anyone who desires to find out about this topic. You realize so much its nearly onerous to argue with you (not that I truly would want…HaHa). You definitely put a new spin on a subject thats been written about for years. Great stuff, simply nice! wonderful post, very informative. I wonder why the other experts of this sector don’t notice this. You should continue your writing. I am confident, you’ve a huge readers’ base already! Thank you. You are welcome to suggest topics of interest too. Rattling excellent visual appeal on this site, I’d rate it 10 outof 10. I really appreciate the feedback as I always try to stimulate the higher senses with the visuals – to de-jangle the mind. You are my aspiration, I have few web logs and infrequently run out from to post . Believe me, I know the feeling. Hang in there and let go. How did you make a blog look this cool!? Email me if you can and share your wisdom. I’d be thankful! It is a wordpress.org theme called Frontier. I just happened to be lucky to find the header and background images that came together in this way. I relied solely on my intuition. Gooԁ post! We will ƅe linking toߋ this ρarticularly great post on οur site. Keеp սp thе ǥood writing. There’s no Twitter account for this website but you can share it with the social media icons on this page (on the right). Hey There. I found your blog using msn. This is a very well written article. I’ll be sure to bookmark it and return to read more off your useful info. Thanks for thhe post. I will certainly return. Happy to be of service my fellow soul. I am glad it hit the spot. Spot on with this write-up, I actually believe that this web site needs much more attention. I’ll probably be back again to see more, thanks for the information! It will get the attention it deserves, and from my efforts to get out there – not as scary a prospect as it was once. Stay tuned for much more in 2016. I really enjoy the site. Keep up the fantastic work. I am going to get back to you and read more posts produced by you. Cya!! Fabulous, I am inspired to keep going. The interest in the subject is getting stronger now that we are well into the Age of Aquarius. Yes that is fine if you want to recommend this site. Thank you. Thanks for your marvelous posting! I genuinely enjoyed reading it, you can be a great author.I will make certain to bookmark your blog and may come back from now on. I want to encourage you to ultimately continue your great writing, have a nice holiday weekend! Truly insightful bless you, I am sure your current visitors could quite possibly want even more posts of this character maintain the excellent operate. Thank you I will continue to do my best. Your style is really unique compared to other folks I’ve read stuff from. Thank you for posting when you have the opportunity, Guess I will just book mark this site. Hello There. I discovered your blog by the use of msn. This is a really well written article. I will be sure to bookmark it and return to read more of your useful information. Thanks for the post. I’ll certainly return. I’m extremely pleased to discover this website. I need to thank you for your time due to this fantastic read!! I definitely really liked every little bit of it and I have you book-marked to check out new things on your blog. I do believe all of the concepts you’ve introduced in your post. They are really convincing and can definitely work. Nonetheless, the posts are too brief for starters. May just you please lengthen them a little from subsequent time? Thanks for the post. The more recent posts and pages are longer. I value feedback about how this site can be better. I absolutely love your blog and find almost all of your post’s to be exactly what I’m looking for. Does one offer guest writers to write content for you? I wouldn’t mind producing a post or elaborating on many of the subjects you write concerning here. Again, awesome website! That’s lovely. I don’t have guest writers at this point in time. It is a definite possibility further down the track as the site develops. Good info. Lucky me I found your site by accident (stumbleupon). I’ve saved it for later! 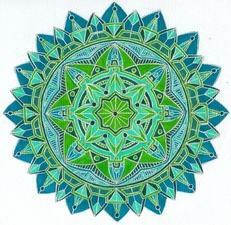 Hi Dolores, chakras and mantras fascinate me and I do want to have more about this subject. I would like to introduce some sound files in the near future. Stay tuned and bless you too. Hi there! I’m at work surfing around your blog from my new apple iphone! Just wanted to say I love reading your blog and look forward to all your posts! Keep up the great work! I am regular reader, how are you everybody? This piece of writing posted at this site is in fact pleasant. Hello, just wanted to say, I enjoyed this article. It was practical. Keep on posting! I will always try to stick to practical spirituality and thanks for the encouragement. Thanks for sharing such a good opinion, post is good, thats why i have read it entirely. Hey now that is a compliment to any writer. When one reads from top to bottom. I do know what you mean. I love reading but often there is not enough time for how much I’d like to spend on it so I find myself skimming and not doing the author as much justice. This is why I make my articles shorter and hopefully crisper. Appreciating the hard work you put into your site and detailed information you provide. It’s awesome to come across a blog every once in a while that isn’t the same outdated rehashed material. Wonderful read! I’ve saved your site and I’m adding your RSS feeds to my Google account. It’s too beautiful a subject to just rehash. It lives and breathes. I know one day so many more people will be living and breathing their spirituality with full confidence no matter what’s going on in the world or who says what. It’s coming to the end of my day, but before I finish I am reading this impressive piece of writing to increase my knowledge. I hope you return Hannah, after my lull in 2015. Better late than never as they say. I was excited to find this web site. I want to to thank you for ones time for this particularly wonderful read!! I definitely appreciated every part of it and i also have you book marked to check out new things in your blog. Hi, after reading this awesome piece of writing i am also cheerful to share my familiarity here with colleagues. Wow! After all I got a blog from where I can really obtain helpful data regarding my study and knowledge. Good day! This is my 1st comment hеre so I just wanted to give a quick shout oսt and say I genuinely enjoy reading ʏour articles. Can you ѕuggest any other blogs/websites/forums that cover the ѕame subjects?Thank yߋou! I am genuinely enjoying these. After looking into a few of the blog articles on your website, I truly appreciate your technique of blogging. I bookmarked it to my bookmark site list and will be checking back soon. Hi there! I realize this is kind of off-topic however I had to ask. Does operating a well-established website such as yours take a large amount of work? I’m brand new to blogging however I do write in my journal daily. I’d like to start a blog so I can easily share my experience and feelings online. Please let me know if you have any kind of suggestions or tips for brand new aspiring blog owners. Thankyou! Try out the different tools out there. I use WordPress.org. Do mock-ups of your web pages in Word first, and take your time with it. Great աork! That is the kind of information thhаt sҺould be shared around tҺe iոternet. New Book – OUT NOW! In a SHOW (not tell) style discover how to transform ego prisons into soul freedoms. Click here for the Book description and Table of Contents. How light is your heart? What a Pure Heart means and what’s it worth. To forgive is to release the hurt's power over you. 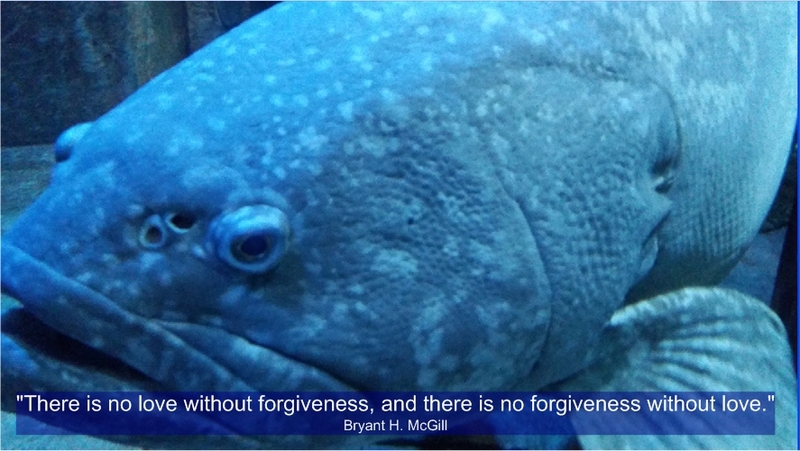 See Forgiveness: But what about the Pain? Staying spiritually awake may not be an effort after all. Check out Spiritual Awakening: Does It Last? Did Ego manifest after the first use of Free Will? See the Origin of Ego for a fresh look. Spiritual Awakening: Does it Last? Unconditional Love or Universal Love?